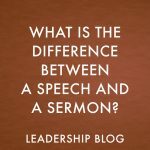 There are a number of different doctorates that Christian leaders work toward but two of the most common are the Doctor of Philosophy (PhD) and the Doctor of Ministry (DMin). As someone who is a DMin student, I frequently get asked, “What is the difference between a PhD and a DMin?” Here is my short answer. There are some major differences in the format of the studies, although it is hard to summarize as different countries have different types of PhDs. In North America, PhDs have a major course component in addition to language tests, comprehensive exams and a dissertation. In Europe, it is mostly just a dissertation. A DMin includes courses, generally in a modular format, with a thesis. The DMin thesis is shorter than a PhD dissertation. However, the main difference is in the purpose of the degree. Traditionally, people received PhDs to teach in universities and seminaries, as well as to research in order to publish academic books and journal articles. People received DMins, not to teach, but to equip themselves to be better pastors or leaders in Christian ministries. PhDs are supposed to be for professors and DMins are supposed to be for pastors. 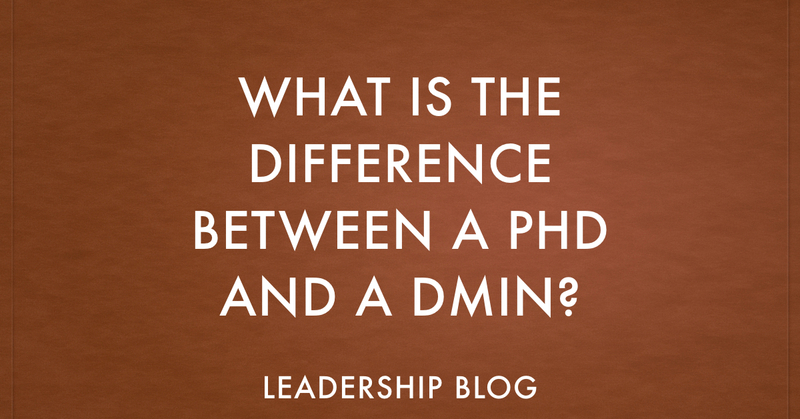 Should you seek a PhD or a DMin? I would suggest that you follow the traditional track. If your plan is to teach, don’t go for a DMin as a quicker way to get a doctorate. Get your PhD and then see what happens. If you are a pastor and you want to take your studies to a new level, I would suggest a DMin. Again, that may lead to teaching opportunities but that is not the purpose of the degree. 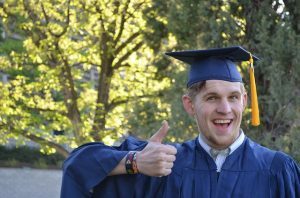 I also have written a post called What Theological Degree Should You Get? that you might find helpful. If you are interested in a Doctor of Ministry, I would suggest Acadia Divinity College. That is the school where I am studying and I have found the school and the program to be excellent. 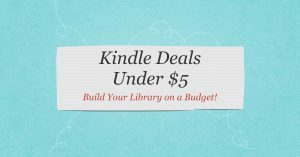 It is definitely something worth checking out. What is the Difference Between Evangelism and Apologetics? 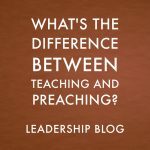 What's the Difference Between Teaching and Preaching? To put it is a more simple way, a PhD is an **academic degree** for professors and researchers in a particular field of endeavor. Back in the day, the equivalent in theology was a ThD, and I guess you can still get this degree at some schools. A Doctor of Ministry degree (DMin) is a **professional degree** for clergy. Other professional degrees include the Juris Doctor (JD) for lawyers and the DDS for dentists. It used to be that the standard professional theological degree for pastors was the Bachelor of Divinity (BD). It was a 3-year degree and a BA was not required to earn it. 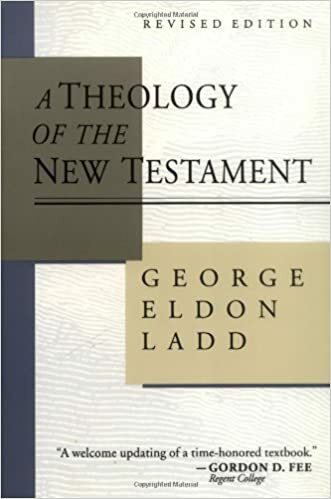 Later, when a BA was required to gain entrance into a seminary, they changed the BD to a graduate degree, the Master of Divinity (MDiv), which is also a professional, not academic degree). To offer equality with other professionals, the Doctor of Ministry (DMin) was invented. That abbreviation is unfortunate (“demon”) for people in theology, but there you have it. Standards for getting a DMin are pretty low, the quality depending where you get it. Basically, it replaces the DD (Doctor of Divinity) which was both an earned degree at some places, but mostly an honorary degree bestowed on pastors by Christian colleges and seminaries. I will say that the standards at Acadia Divinity College where I am doing my DMin are high. I did the DMin work at San Francisco Theological Seminary after getting an MDiv from Princeton Seminary. But I did not finish the final unit due to life circumstances. But I was pleased with what they offered. It was practical as opposed to academic. I was a pastor at the time and the DMin suited my needs. I ended up spending my entire ministry career as a Christian journalist and the pastoral practicums would have been of little value. I got an MA from Wheaton Graduate School before Princeton, and what I learned about Communications in that program met my journalistic and publishing work needs. I would say that a DMin degree is not essential for ministry. Looks good on the church sign and stationery, but it is more like continuing education rather than a terminal degree in the rest of academia. It’s always been my opinion that when you go to a three year seminary, you should get an Doctor of Divinity at the end, not just a Master of Divinity. That would put it on par with the standard Juris Doctor (law) degree which has 3 years of post-BA studies and is the case with many other professional degrees. You can even get an MD degree in 3-4 years beyond college, though specialist studies and hospital internships add to the core time. Unfortunately, theological education is hindered by history. The time it takes, the training people get, and the degrees they earn are largely mandated by an old, outdated methodology. I think it’s a stretch to suggest that “standards for getting a DMin are pretty low.” ATS accredited programs are pretty rigorous. While some DMin programs have bad reputations, the program I am in at Acadia Divinity College has high standards. In fairness, I did not say “standards for getting a DMin are pretty low.” I said: “Standards for getting a DMin are pretty low, the quality depending where you get it.” Big difference! While there may be concerns with ATS, many schools offering the DMin degree are not associated with ATS at all. I notice that Acadia Divinity College is a member of that professional theological accrediting agency. 269 other theological schools also have their accreditation.